Cars at Call, home to cheap car rental rates in Cape Town and South Africa, brings you activities not to miss in Cape Town. Discover why Cape Town is one of the most popular tourist attractions in the world on your own time and at your own pace in a CarsAtCall rental vehicle. Our quality light vehicles , luxury vehicles and microbuses will suit your every need, while our cheap car rental rates and unlimited mileage ensure that you get more for your money. 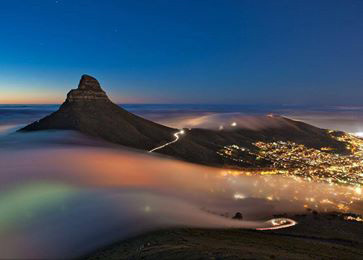 Table Mountain has over the centuries become one of South Africa ’s most famous landmarks. Its top is approximately 3km wide and the mountain is home to more than 1470 species of plants and a number of animals. The improved Cableway travels 10 metres per second, and does a 360-degree turn while traveling up and down the mountain. Table Mountain ’s Cableway is freely accessible to people with disabilities. Guide dogs are welcome aboard, and the top of Table Mountain has over 2 kilometres of pathways that can be explored by a person in a wheelchair. For more information on Table Mountain rates and operating times, go to Table Mountain. The Victoria and Alfred Waterfront attracts 20 million visits per annum and caters for locals, domestic and international tourists alike. The V&A Waterfront is a celebration of exclusive shops and craft markets, award-winning cuisine and live entertainment in the amphitheatre. The V&A Waterfront also offers a wide variety of leisure activities and attractions. Enjoy the magnificent scenery by taking a sunset cocktail cruise around Table Bay or a breathtaking helicopter ride over Cape Town’s beaches and city centre. Click on The V&A Waterfront for more V&A Waterfront information and tourist related information on the Western Cape. Cape Point makes a spectacular day trip to the most southwesterly point of Africa. Situated in the 22 100-hectare Table Mountain National Park, Cape Point offers one of the highest sea cliffs in the world. Make good use of CarsAtCall’s cheap car rental rates and go enjoy its unparalleled views, numerous scenic walks and trails, and more than 1 100 indigenous plant species and a variety of animals. Walk up a myriad of steps to the old lighthouse or take the funicular to have a look around the historic sea route where explorers used to sail around the Cape of Storms. Visit Cape Point for a visual tour and more information on Cape Point. Robben Island has become a local and international symbol of freedom and liberation, and a popular tourist attraction in Cape Town. The prison where freedom fighters like former South African president Nelson Mandela spent more than a quarter of a century for their beliefs now features a museum. The museum runs educational programmes for schools, youths and adults and facilitates tourism development. Tours of Robben Island and the old jail are conducted by former inmates who offer unique insights into life on the island. Go to The Robben Island website for more history and information on prices and departure times. Kirstenbosch National Botanical Garden, set on the magnificent eastern slopes of Table Mountain, is world-renowned for its beauty and diversity. Join a guided theme walk or special interest tour around the garden, or catch a club car for a mini-tour from the Visitor’s Centre. On Sundays during the summer months from December to March, musical sunset concerts are held on the lawns. The Kirstenbosch Botanical Garden is open 365 days a year for picnics on splendid green lawns, beautiful nature walks and an overall celebration of indigenous South African plants. Go to The National Botanical Institute for a virtual tour of the garden and more information on seasonal highlights, shopping and restaurants at Kirstenbosch. The Two Oceans Aquarium showcases more than 3000 living specimens that represent approximately 300 species of fishes, invertebrates, mammals, birds and plants supported by the waters in and around the Cape coast. Watch the feeding frenzy as ragged-tooth sharks, shoals of yellowtail and hoards of other fish are fed from the safety of the glass semi-tunnel, or take a dive in the I&J Predator Exhibit among the sharks and predators. The Diversity Hall has special exhibits like jellies and corals; giant spider crabs from Japan and endangered Knysna seahorses. The Touch Pool allows the close-up inspection and handling of animals such as starfish, sea urchins and crabs. Visit The Two Oceans Aquarium for more information on admission times and fees. Contact CarsAtCall for cheap car rental rates in Cape Town and South Africa with unlimited mileage and superior service.